The Ubud effect started already on the flight from Colombo. I ended up next to a Sri Lankan-Australian woman who was on her way to Bali for the first time. She had no plans and travelled with such light luggage it put my big backpack to shame. We got talking. About life. Dreams. Ancient wisdom and modern culture. We talked freely and openly, sharing our past experiences and struggles. Our longing for a place in the world, and our passion for women’s right to claim that place. 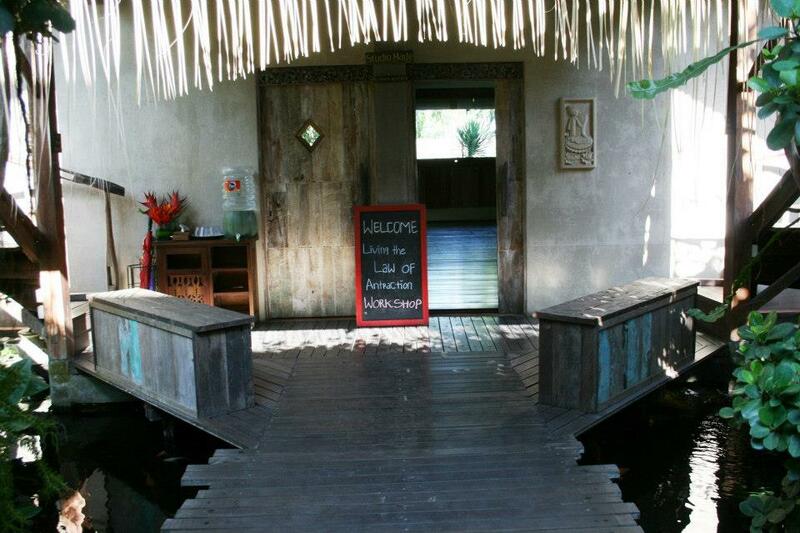 Once in Ubud, we settled into our different guest houses and promised to keep in touch for the week. I had decided to treat myself to a more luxurious place (by my means) the first two days and had even made a booking before hand. I was greeted by a personal handwritten welcome note sealed with a Frangipani flower on the big deluxe bed, and the most beautiful bright room, fresh watermelon juice and a veranda view of the lush garden with a fountain pool. Everything I love about Bali was right there. The courteous service and humble smiles. The fragrance of flowers and incense. The sounds of birds and distant temple ceremonies. The simple little offerings of petals outside the door steps. The attention to details. I took a stroll down the street in the late evening sun and smiled like I haven’t smiled in months. Ubud has gotten busy and everywhere you turn there are signs and boards promoting palm readings, healing massages, green detox juices and books on spiritual awakening. There is almost no space between the Namaste’s, the Lotus Flowers and the Buddha statues. I had contemplated going to the Yoga Barn but felt quite overwhelmed from the walk and honestly, much more tired from travelling than I had realized. I found shelter at the Bali Spirit Kafé, my favourite hangout when I was here three years ago. Slouched down on the cushions after a good grilled tuna salad and beetroot juice, a beautiful woman came in and sat in the spot next to me. The Ubud effect drew us to each other and fast forward an hour, we had discussed topics such as the search for true love, the difficult process of letting go, political and cultural confusion in the world and our own responsibilities for peace. She is a successful yoga teacher and business woman living in Dubai and she was well aware of the Holistic Health Coaching Program I am attending with IIN (Institute for Integrative Nutrition) In fact, she often coaches students like myself, on how to shift focus to a productive business mindset. Call it synchronicity, law of attraction, The Universe or plain coincidence. Right now, I call it the Ubud effect – and it’s telling me that what I am seeking, is seeking me.